Today, Seattle’s forested parks and greenways are remnants of a once-vast forest that covered the entire Puget Sound region. After 150 years of logging, view-clearing, and passive management, these remnant forests became sick. 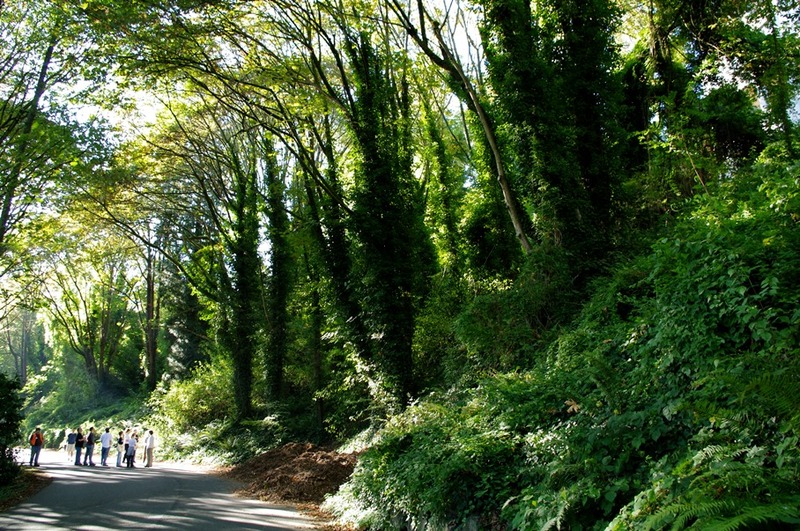 Seattle’s trees are aging and inundated with aggressive invasive weeds that threaten the health of the entire forest. Most of our trees are now near the end of their natural lifespans. Drive on Westlake Avenue along Lake Union, on Lakeview Boulevard below St. Mark’s, on Cheasty Boulevard South in the Rainier Valley, or along parts of Lincoln Park in West Seattle and you may see what looks like a very picturesque scene: trees and English ivy growing together to make a green landscape. But looks can be deceiving, and this pleasant green view hides a potentially devastating problem. After the original forests of this region were cut down, native maple and alder trees grew in their place. 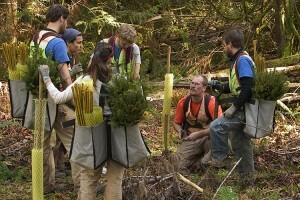 The extensive clear-cuts significantly reduced the seed source needed for native conifer trees, such as Douglas firs, Western redcedar, and Western hemlock, to regenerate. At the same time, aggressive weeds like English ivy and Himalayan blackberry have choked out any young seedlings that would replace today’s forest. English ivy is an additional threat as it climbs up into the tops of trees, making them more likely to fall over in high winds. In 1994 the City of Seattle began to notice that something was wrong with the trees in city parks. Our 2,500 acres of forested parklands were at risk from aggressive invasive weeds, from illegal trash and yard waste dumping, and lack of maintenance. Without serious intervention, 70% of our forests (2,500 acres) could be lost in the span of 20 years, turning into an ecological “dead zone” where only ivy and a few other weeds can survive, trees are dead or dying, and wildlife habitat is gone. Self-organized volunteers, non-profit efforts, and City staff and crews all tried to address the problems facing the parks, but piecemeal efforts placed a strain on the City’s resources and couldn’t get enough footing to be successful. In order to save the parks, a shared effort between community members, experts in forestry, and local government was necessary. 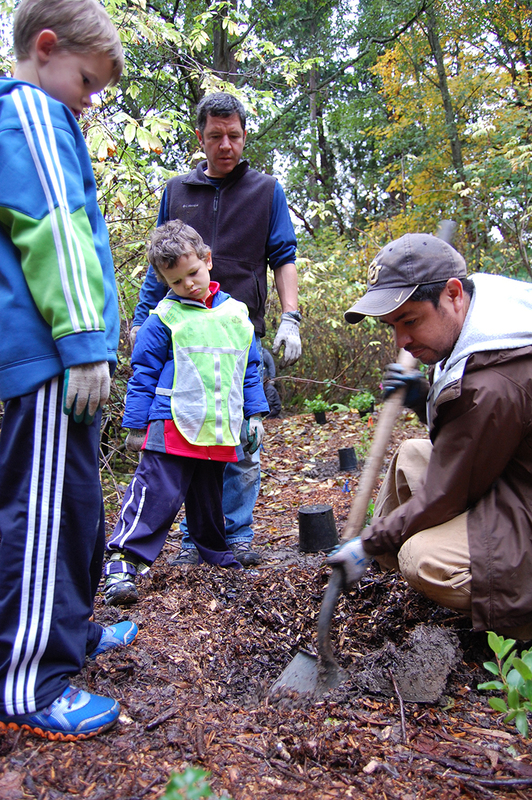 In 2004, the Green Seattle Partnership was formed, with the aim of arming citizens to help the city’s trees in coordination with the Department of Parks and Recreation, Public Utilities, and the Office of Sustainability and the Environment. The Partnership created a 20-year strategic plan to sustain Seattle’s forested parks, and the many partners got to work. The Green Seattle Partnership is now the largest urban forest restoration project in the country. 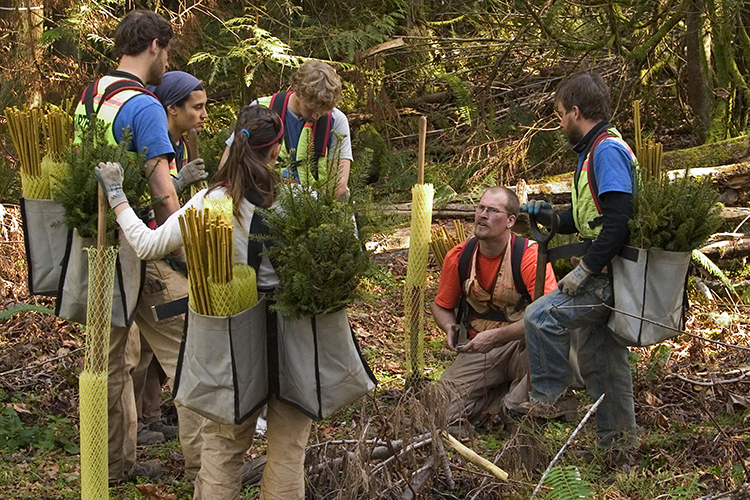 Thousands of volunteers are out in the parks every year, rolling up their sleeves and digging in alongside their neighbors to keep their urban forest healthy, and professional crews have provided technical assistance in difficult sites. Many partners have joined in the effort that has become a City-wide movement, and the list continues to grow. You can be part of this movement by joining the Green Seattle Partnership as a volunteer, aligning your organization or company as a partner, or by making a financial contribution to our work.